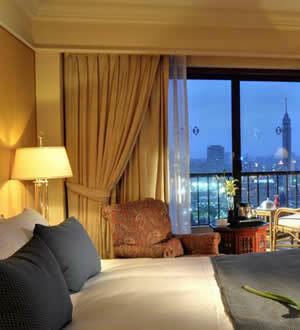 Located on the bank of popular Nile river, InterContinental Cairo Semiramis Hotel is a landmark luxury hotel for both leisure and business travellers to Egypt. Standing on the site of the historic Semiramis hotel, this Cairo to the Pyramids hotel features a 26 m2 rooftop pool and fine dining with exquisite cuisine for every taste. It offers a selection of 12 restaurants all reflect contemporary design, with the Nile Terrace offering stunning views of the sunset over the Nile. 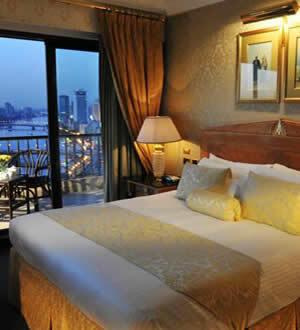 Outstanding customer service couple with a clean and very well-maintained environment makes the hotel stand out. With beautifully decorated rooms, attentive and highly friendly staff as well as wonderful atmosphere with excellent service, this is the place to in Cairo. 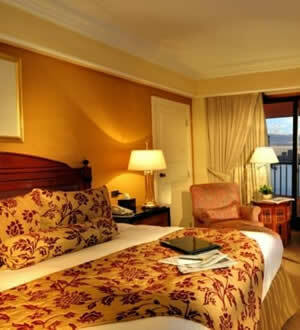 The hotel offers free Wi-Fi and it is located next to the Egyptian Museum and bazaars of old Cairo. For added luxury and spacious comfort there are 79 suites offering 8 types of suites: Business, Junior, Executive, Nile etc.